The governor of Indiana signed House Bill 1263, which will official make telemedicine legal in Indiana. Under the new law board-certified doctors, will be able to provide care for flu, colds, allergies, minor infections and more. They will even be able to prescribe medications online. This is a huge step for Indiana when it comes to general care. We Hoosiers have utilized med checks and immediate care centers for these type of basic services. Now, with your smartphone and internet connection, you can go online and get treatment, without waiting in line. This will change the way we get basic medical services. This will also lower the cost for treatment. 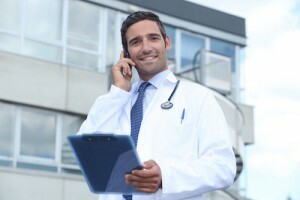 There are multiple telemedicine programs available through the insurance companies and independent companies. Once you choose which telemedicine company you want to use, you will download the smart phone app. Once you open the app you will see a list of health care providers that are available. Click on the provider you want to use, then start discussing your case. The provider then can diagnose the condition and recommend treatment. This going to help a lot of people and save the insured money. Most Insurance policies in Indiana, have a larger copay for med checks, with Telemedicine you may only have to pay your general doctor copay. We should have more information on Telemedicine options this summer.